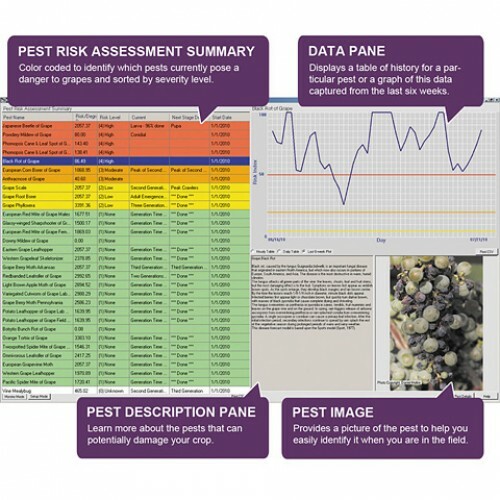 The Integrated Pest Management (IPM) Module for Grapes is a powerful tool in the battle against crop pest damage from diseases, insects, mites. This add-on module works with WeatherLink and Vantage Pro2 to gather real-time temperature, humidity, rain and leaf wetness data. 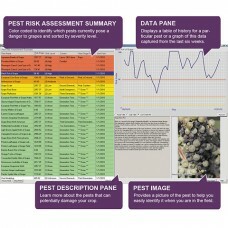 It generates stepped risk levels to warn you when conditions are favorable for pest development. •	Updated pest development algorithms will provide you with the most accurate, vineyard-specific risk assessment available System Requirements: WinXP and above, WeatherLink for Windows software (version 5.5 and above), Vantage Pro2 or Vantage Pro2 Plus weather station, Wireless Leaf & Soil Moisture/Temperature Station, Leaf Wetness Sensor. Compatible with Weather Envoy and Envoy8X.